Does the idea of sitting still for hours while a speaker drones on and on make you cringe? Do you find yourself daydreaming when you should be listening? Have you ever wished that the speaker would make his/her speech more interesting? Well, if you answered yes to any of the above, I understand. But, you’ll never feel that way if you listen to Joel Osteen. He is a renowned inspirational pastor and speaker. I Like to Start with Something Funny is a compilation of many of Pastor Osteen’s witty remarks and “laugh-out-loud” funny jokes that put his captive audiences at ease and inspire them to be engaged and uplifted. One touch of humor at a time, Osteen’s words of wisdom speak to the individual while also reaching out and providing comfort to the masses. Now is your opportunity to also enjoy this unprecedented compilation of over 100, tested, short, clean Joel Osteen jokes – they bring joy and encourage laughter. This inspirational book is the template for a speech of any kind. Use it as a blueprint for how to break the ice, engage, inspire, and encourage your audience to listen intently and absorb your message wholeheartedly. 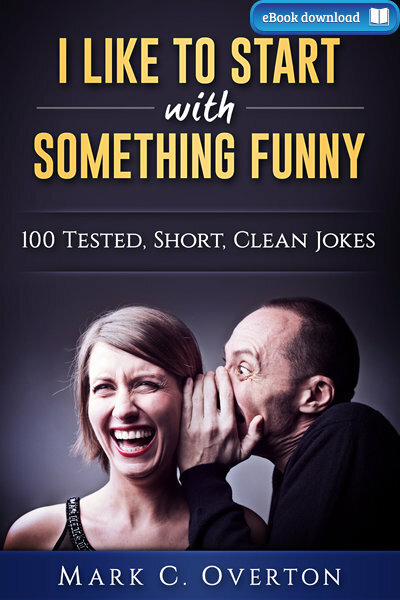 Buy your copy now to help start a meaningful conversation, laugh hilariously and live happier today!